On social media, people can be quick to call attention to racist, sexist, or unpatriotic behavior they see. But when that outcry goes viral, those challenging the behavior may be perceived less as noble heroes doing the right thing and more like bullies doling out excessive punishment, according to findings published in Psychological Science, a journal of the Association for Psychological Science. Through a series of laboratory studies, Stanford University psychology professor Benoît Monin and graduate student Takuya Sawaoka found that while comments against offensive behavior are seen as legitimate and even admirable as individual remarks, when they multiply they may lead to greater sympathy for the offender. 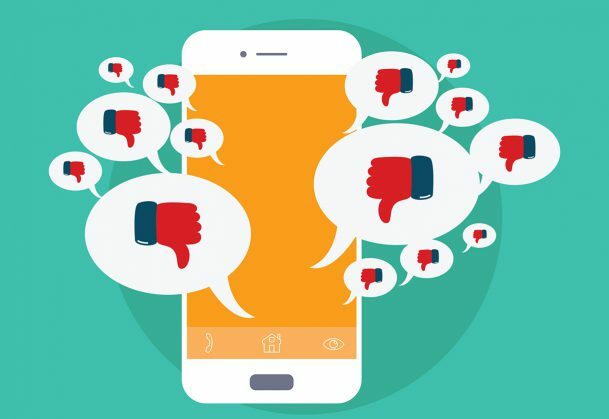 Sawaoka and Monin conducted six experiments with a total of 3,377 participants to examine how people perceived public outcry to an offensive or controversial post on social media. They set up a variety of scenarios, including asking people how they felt when there were only one or two comments versus a mass of replies. All data and materials have been made publicly available and the design and analysis plans for Studies 4a and 4b were preregistered via the Open Science Framework (OSF). The complete Open Practices Disclosure for this article is available online. This article has received badges for Open Data, Open Materials, and Preregistration. This text was adapted from a press release sent out by Stanford University.